Google has today announced a new update to its Google bar, its rolled out after listening to feedback from users. Originally Google launched the new Google bar design back in November last year. With the goal of creating a beautifully simple and intuitive experience across Google. Now Google has listened to feedback and tweaked their Google bar design, to provide an even better experience say Google. 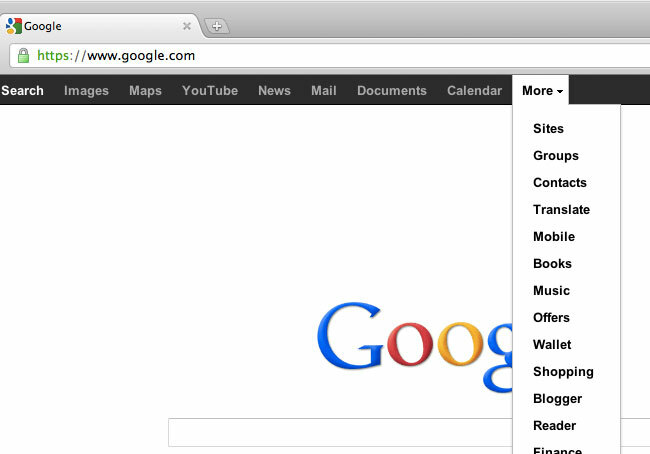 One of the biggest changes to the Google bar is the redesign of the drop-down Google menu. Which has been replaced with a consistent and expanded set of links running across the top of the page. Google explains that they will be rolling out this new version of the Google bar over the next few weeks. In the meantime, Google invites you to read about the new design in their Help Center, and send them your feedback.